1. Create a Facebook Page and Not a personal profile. Make sure you choose the right template. 2. Add as much information as you can about your business, your working hours, your services, your website and literally everything. 3. Opt for a short page name and page URL (only be set up when your page has 25 likes) as it’s easy to remember. 4. Update your Facebook page’s profile picture (usually a square image) and cover (851 x 351). Make sure the picture is not too sales oriented and must describe about your business. 5. You can re-order the Facebook page tab and customize it the way you want it to show. 6. Stay active and post consistently. Images, videos, photo albums has high engagement rate as compared to text. 7. “Share to Unlock” – This trick can help you increase your engagement in the best possible way. If you have an offer coming up, ask your followers and fans to share the post and after 50 (or you no. it) shares, you’ll unlock the discount code. 8. Make the best use of emoticons and business related hashtags to make it easier for people to find you when they are searching for the similar products. 9. Promote your products or services in Facebook groups, Comment and Interact with people, give valid suggestions, be funny, witty etc on other fan pages related to your niche. It will help you make your presence. Make sure to Add link of your facebook page so that people can know more about you and may be they’ll drop a like. Tip – Avoid being spammy. 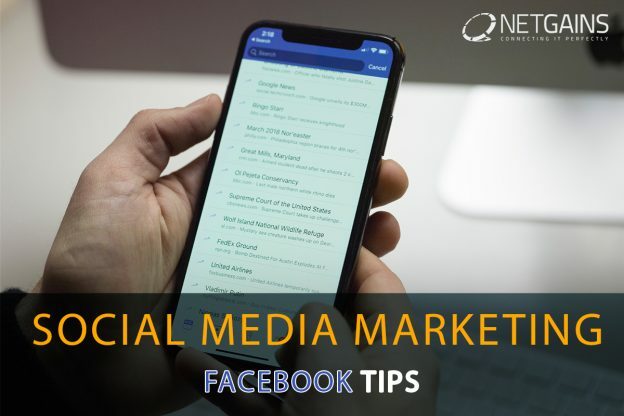 Tip – Share Post, Ask to tag your Friends – You can ask your fans to share this post or tag their friends as much as possible and win free gifts. 11. Create Events on Facebook – Facebook allows you to create an event whether you are conducting an online event or a physical event. You can invite people to join your event, Post about the event, collect RSVPs etc. Your event is likely to show to the friends of the person who have marked your event as going or interested. How can Quora Marketing help Generate Traffic for Your Website? What are Progressive Web Apps & how can it help improve your SEO Rankings?